It’s Friday’s Bike Pic, so stay cool and ride off on another weekend of fun, taking in that #nextbikeadventure. 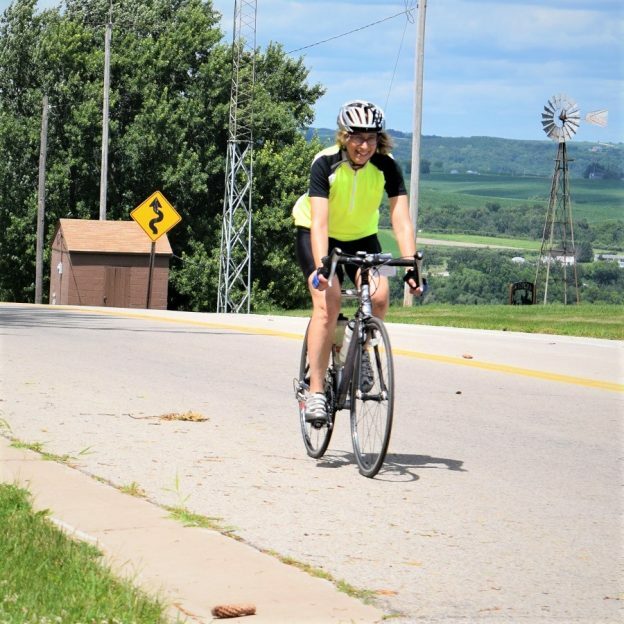 Here we caught this biker chick pedaling the hills in Bluff County,as she rode out of Preston, MN heading for the Amish Country. This entry was posted in Picture of the Day and tagged Amish Buggy Byway, Bluff Country, horse drawn carriage, Minnesota driftless area, MN trails, Preston MN, Southeast Minnesota, yeah its Friday on July 13, 2018 by Russ Lowthian.